Rin and Len. Liebe. 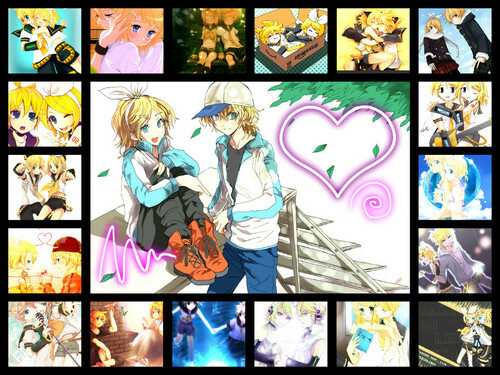 HD Wallpaper and background images in the Rin und Len Kagamine club. This Rin und Len Kagamine fan art contains buntglasfenster, glasfenster, glasmalerei-fenster, anime, comic, manga, cartoon, comic buch, karikatur, and comics. why in the world are len and rin taken as a couple when the're twins? No idea, but they DO make a cute couple, don't they?